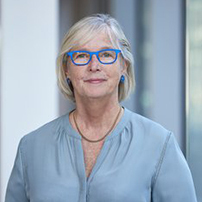 Jan Gooding joined Aviva, in 2008 as Marketing Operations Director and ultimately became Group Brand Director, responsible for developing the Good Thinking brand strategy. With more than 30 years’ experience working in marketing and advertising, her career began working for advertising agency Ted Bates. The majority of her time working in advertising was spent at Burkitt Weinreich Bryant Clients and Co on brands such as Finish, Malibu and Norwich Union. She has been managing partner of two marketing consultancies BLUEDOOR and Antennae with Clients including BBC, Diageo, and Unilever. In 2016 Jan was appointed Global Inclusion Director at Aviva and takes up this role at the beginning of 2017. Before joining Aviva, Jan held senior marketing roles at BT and British Gas. Jan is Chair of the LGBT equality charity Stonewall, Chair of PAMCo (Publishers Audience Measurement Company) an Executive Committee member of WACL (Women in Advertising London) and a Fellow of the Marketing Society. She holds an MA in Economics from Cambridge University.